Have you done anything fun with your family? 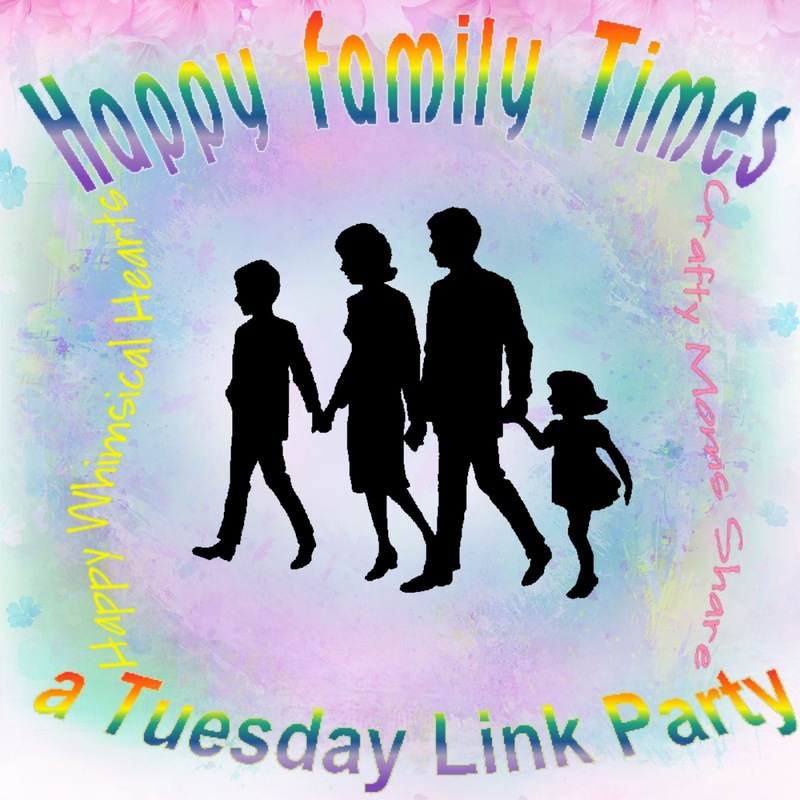 Kelly at Happy Whimsical Hearts and I are collecting different family activities in hopes to inspire all of us to have more quality family time. Please share below and check out both mine and Kelly's stories for the week! 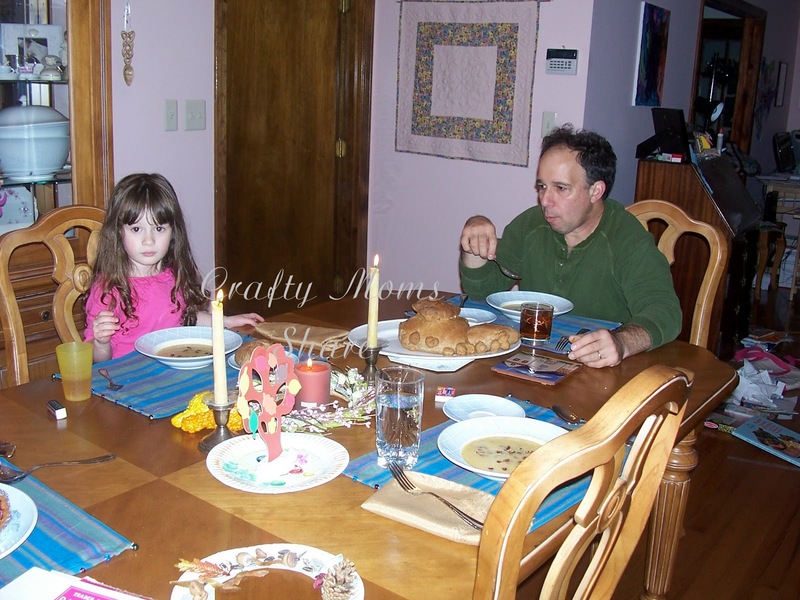 Growing up my family ate dinner as a family in the dining room. We used our good china and good silver every night (well Monday through Friday). Their belief was always if we have it we should use it and enjoy it. The only thing that was not used regularly were the Waterford Crystal glasses (my grandparents brought back from Ireland) and some other fancy glasses that were all hand wash only. My mother also would say if we ever were robbed she would be most upset about losing the silver since it had our teeth marks in it from when we were teething. 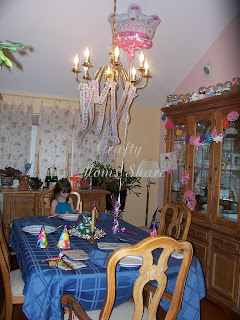 It was at these family dinners that we (my sisters and I) learned our table manners. I still remember my father's reaction to my sister's elbows on the table. I learned fast not to do that even by mistake. It was also where we heard about each other's day and what was planned for the next one. Now I had a parent at home with me until I entered third grade. (My father was in construction, so when there was no work he was the one home. Yes, I was one of the only kids growing up that had my father chaperone class trips.) When both parents were working as I was in third grade our chore system started. This included cooking dinner once a week (Monday through Friday). The weekends were a bit a free for all and it depended on who was around. So yes, my father and I learned to cook together when I was in third grade. I think this is why having a dining room set and good china was important to me when I got married. We bought our dining room set right before we got married and considered it our wedding gift to one another. Our china was on our registry. Well actually it was our second set of china. One of my friends who had lost her husband and daughter gave me her china set that she bought from a retiring couple when she was on her honeymoon. She said she never used it and had no one else to give it to. 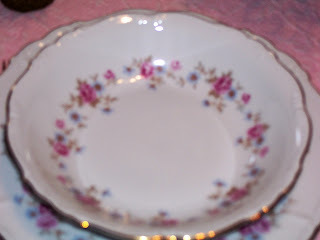 This beautiful china is hand wash only, so we do not use it very often. I knew I wanted some every day china to use like my family had growing up. So we also picked a Lenox pattern to have something we could throw in the dishwasher. Of course, it became discontinued (as did everything we registered for) just before the wedding. We picked it knowing we would want it to have blue and pink flowers to match the first one. Our set also had matching silverware or I should say stainless steel flatware. We got those as well. Whatever we hadn't gotten but wanted we bought from our registry since it was being discontinued. So recently we started eating in the dining room with our good china. We started doing it a few weeks ago, but stopped when Hazel got sick. So Saturday we started again with our Michaelmas celebration. For our Michaelmas meal, I made Harvest Apple Soup. I followed the recipe from How Sweet It Is for the most part, but made a few changes. I used closer to two cups of pumpkin since our small pumpkin from my father's garden gave me two cups. I also tasted it while it was cooking and thought it needed a little something more so I added some cinnamon and nutmeg. Hazel and I loved it. Steve (who doesn't like pumpkin) did not. Then we made our huckabuck bread. We used the recipe that the teachers used in our parent/child class last year. This time I used my Kitchen Aid to make it and knead it. It came out wonderfully. I shaped it as a dragon and used the rest to make small sword rolls. 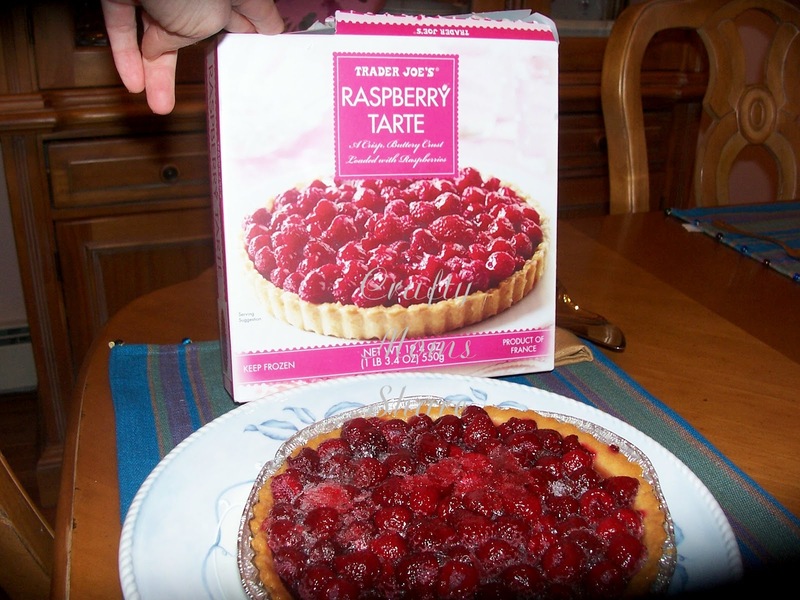 Then for dessert instead of the traditional blackberry dessert we had a raspberry tarte. It was in our freezer from awhile ago. We also don't really like blackberries so I figured raspberries were close enough. Overall, it was a lovely dinner. We have continued to have dinner in the dining room. Steve and I were talking tonight about how it is more relaxing. Plus I can already tell we are teaching Hazel more table manners. 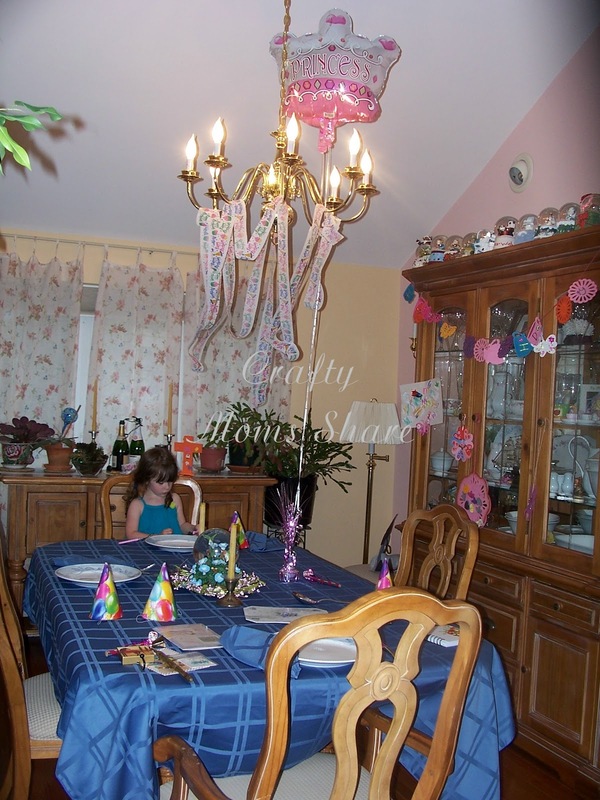 Everything is more formal when you are in the dining room versus the kitchen. Where do you eat your dinner? Ideas I Got From Sharing Saturday! 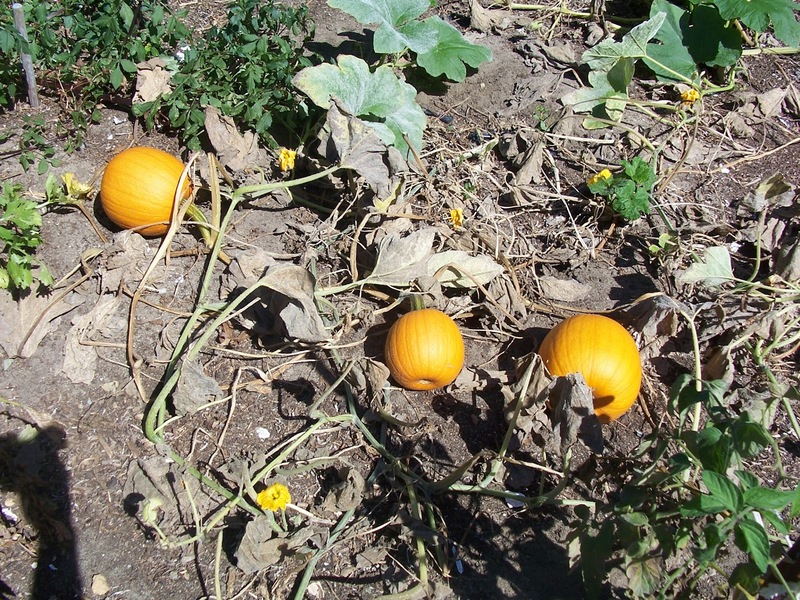 Pumpkins Day 1: Crafts, Baking and More! Columbus Day--What does it mean to you? Nature Walk = Leaf Crafts Galore!